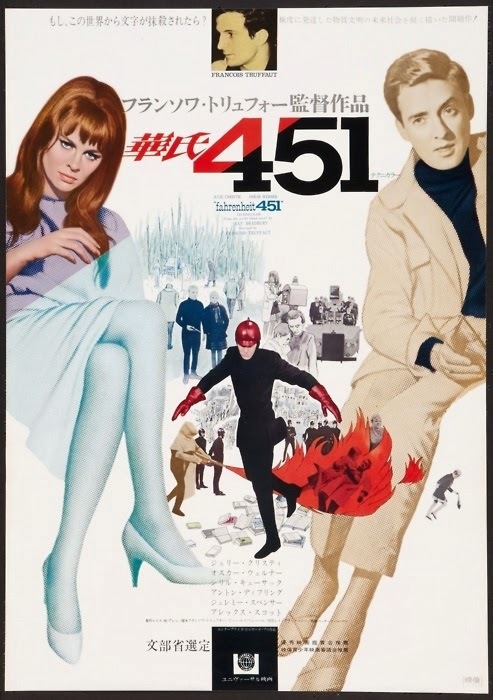 Regular visitors to this site will be aware of my fondness for 'Fahrenheit 451.' I came across this striking Japanese poster for the film this morning. You can see more Japanese posters from the 'Swinging Sixties' here.